Filipino singers and musicians are known all over the world as one the best musical talents. It is said that you can hardly name a destination around the world where you could not find a Filipino singer or musician. However, in terms of songs, Filipinos have yet to produce an international hit along the likes of Macarena, Sukiyaki, Eres Tu, Volare, and other non-English songs that became huge hits in either side of the Atlantic. Locally, there are countless huge hits that Filipino singers, composers, and musicians have produced and here are the ten most iconic Filipino songs of all time. This is the most iconic Filipino song of all times as this is the song that can be considered as an international hit. Composed and performed by Freddie Aguilar, one of the most widely known Pinoy singers of all time, Anak was one of the entries of the first edition of then Metro Manila Pop Music Festival. It landed 6th place, according to sources but that did not deter the song from becoming one of the biggest hit songs ever. The popularity of this song spread in many places around the world and has several international versions including Italian, Japanese, Spanish, and English. It also charted in several European musical charts. A duet by Jose Mari Chan and Regine Velasquez, this song about love and innocence captured the hearts of millions of Filipinos during the early nineties. It was such a huge hit that it is only one of Filipino songs that sold millions of copies in terms of singles and cassette copies. There were no streaming then so you can just imagine this song breaking the Internet in this side of the Pacific if this was released when Spotify was already present at that time. Millions of Filipinos were singing these familiar lines during the seventies; “kung liligaya ka, sa piling ng iba, at kung ang langit mo ay ang pag-ibig niya, tututol ba ako sa kagustuhan mo, sapat na ang minsa’y minahal mo ako (if you find love with another lover and you find heaven with that person, who am I to forbid, it is enough that you loved me once).” Imelda Papin rendered this song with tears flowing on her cheeks and this is why she was tagged as Asia’s Sentimental Songstress during her heydays. Jukeboxes around the Philippines would have cried if this song is not played at least once in every hour. Because of this song, Imelda Papin was the Jukebox Queen of her generation. (For the younger generation of readers out there, Google the word jukebox and find out what it is). Back in the days when cover versions of foreign songs were lording the airwaves, Kapantay Ay Langit was considered a breakthrough hit. 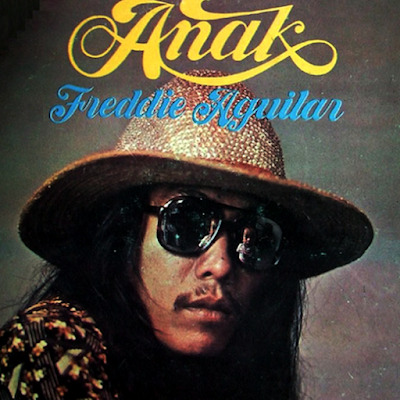 It has become a standard for every Filipino singer to release their own version in one of their albums. 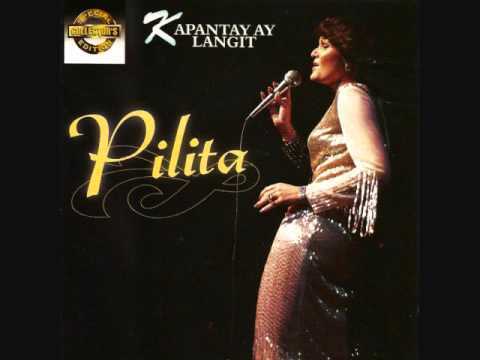 However, it is Pilita Corrales’ version which is the most iconic version of them all. Who would forget her extreme bending posture while singing this song? Hearing this song every week in a weekly drama anthology of the same title, deaf and dumb are those who will object that this old “kundiman” song is not iconic. If your great grandparents or grandparents or even your old parents are still alive and sane today, they will recall this song with revered fondness and narrate to you how Carmen Rosales and Rogelio dela Rosa were great in the movie adaptation of this song. “Hinahanap hanap kita Manila” was one of the catchiest lyric lines ever in Philippine pop music. 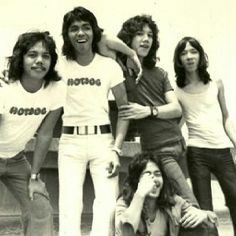 This music from the seventies band Hotdog was considered as one of the early OPMs (Original Pilipino Music). The track started like a love song and then at the second verse, it transforms into a fast beat and accelerates until the end of the song. A closer inspection of the lyrics will make you think if the song is an ode to the City of Manila or to the jeepneys plying the streets. This is considered as a landmark song in Philippine music. 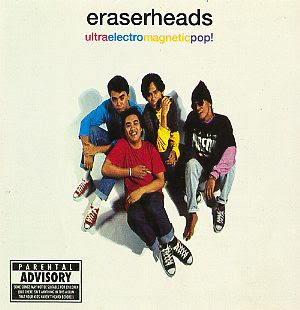 This friendship song by the popular band Eraserheads was a huge hit that even three years after it topped local music charts, Pinoy rockers were still singing and requesting this song in karaoke bars and in radio stations respectively. The song and group inspired many local bands to compose similar songs in terms of theme and genre. As a result, Pinoy rock had its second golden days (the first one was during the seventies where Mike Hanopol, Joey Pepe Smith, and Sampaguita were rock gods). If America and Britain had their disco dancing days, the Philippines also had a dance fever era. This is probably the most legendary Pinoy disco song of all times. 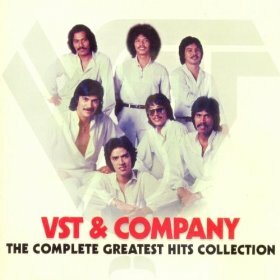 Annie Batungbakal, Bongga Ka Day, Disco Araw-Araw followed after this VST and Company song and made millions of Filipinos to dance the swing and went to the disco. This dance song is iconic in a sense that even young people today are familiar with this song and you find them singing and dancing it in clubs and videoke bars. Originally performed by Maricris Bermont, this song was totally owned by Regine Velaszquez when she recorded her own cover version during the late eighties. This was the song that made Regine as one of the most iconic Philippine singers of all times joining the ranks of Pilita Corrales, Nora Aunor, Imelda Papin, and Yoyoy Villame, among others. Before this song, the former Tanghalan ng Kampeon grand prize winner was just one of those singers waiting for their spot in Philippine showbiz. 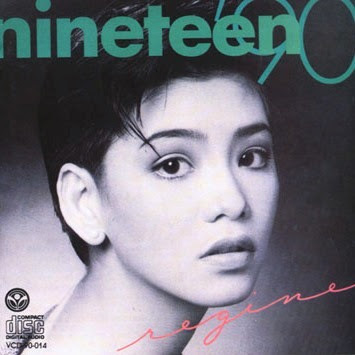 When the song became a very huge hit, Regine Velaszquez had her first concert using the song as the title. You have to admit that this song is quite inane but hey, it is probably one song about Philippine History that became very popular. 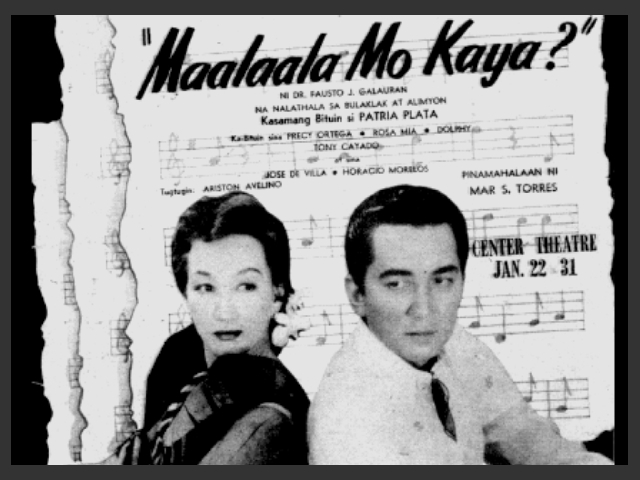 It was so popular that even people from Luzon lapped this song at that time and was included in the Marcos produced semi-documentary film made for TV called “Tadhana.” This is the song that made Yoyoy Villame famous in the entire archipelago. 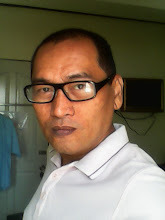 He went on to produce several popular songs too like Mag-Exercise Tayo, Sabi Barok Lab Ko Dabyana, and other novelty songs, particularly in Visayan. Some of you out there might question the list and ask why other songs like Annie Batungbakal, High School Life, Mr. Suave, Tukso, Sayang, Kahit Konting Awa, Ang Pipit, and other very popular Filipino songs and music are not included. It's quite challenging to develop a very objective list due to some factors such as availability of hard data for example. Many of the sources available were subjective lists also. With that, it is recommended that you prepare your own list and publish it online to make it form part of available data with regards to this topic. You can even share your own list in the comment form below! Second, is that in lieu of hard data, the author tried to use objective assessment and opinion to validate the list. Download these songs now and see if you agree with this list.